Riccardo Marogna received a BD in Jazz Music & Improvisation by the Conservatorio “G. Frescobaldi”, Ferrara, Italy (2011), where he studied bass clarinet with Achille Succi. 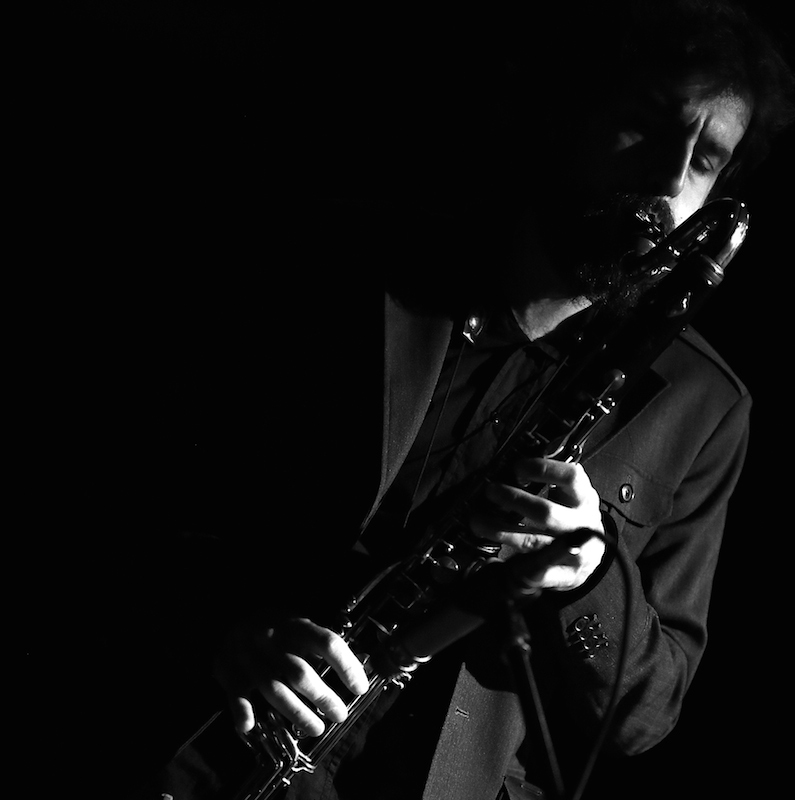 He leads and co-leads several projects; the most recent one, “Oktopus Connection”, is an octet devoted to graphical-based improvisation. He is a member of A.I.R.E., an avant-jazz quartet which has been recently recognized in Italy for its first album (mentioned by Jazzit Top Jazz 2012 Awards). He is also interested in computer music: after receiving a MD in Electronic Engineering by University of Padua (Italy), he worked as a researcher focusing on physically-based sound synthesis and audiovisual interfaces and conducted workshops on computer music & live electronics.